The genus Eremogone was named in 1833 by Eduard Fenzl (1808-1879). 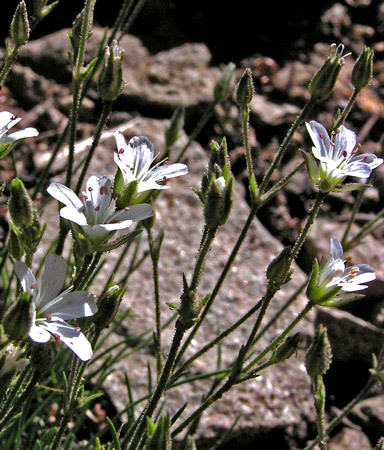 A Utah Flora and Intermountain Flora now call the genus "Arenaria". 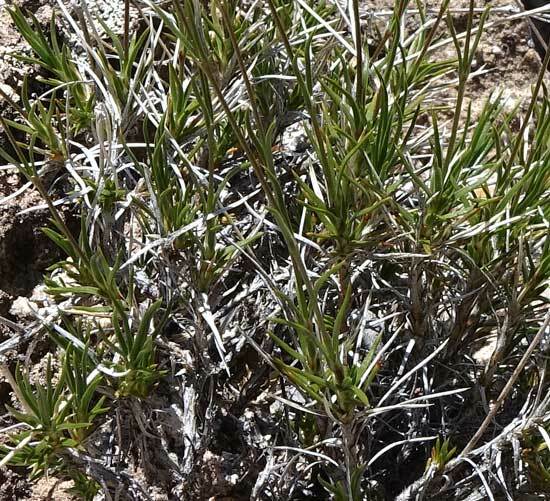 William Weber's Colorado Flora: Western Slope, the Flora of North America, and the Synthesis of the North American Flora, accept Eremogone not Arenaria. "Erem" is Greek for "a lonely place" or "desert", and "gon" is Greek for "seed"; the allusion is of unknown meaning. 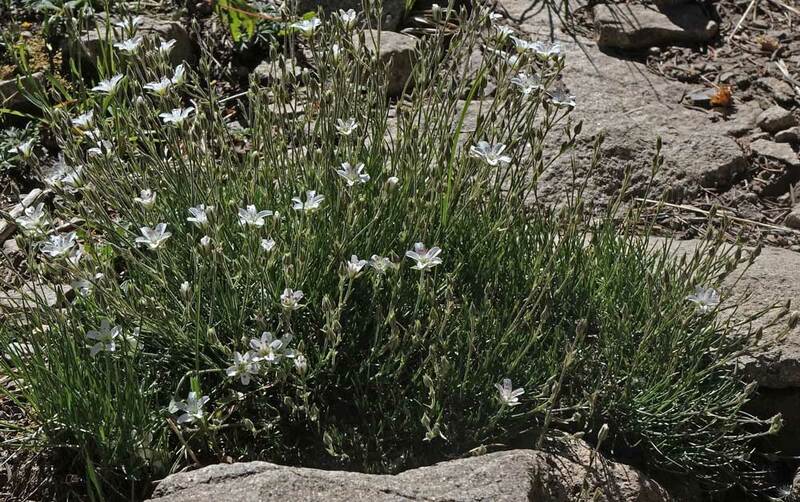 "Arenaria" is from the Latin "aren", meaning "sand", thus the common name of "Sandwort", meaning "Sand Plant". 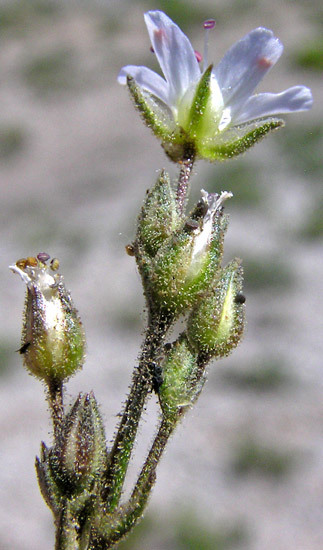 Many such plants are also known as "Chickweeds". 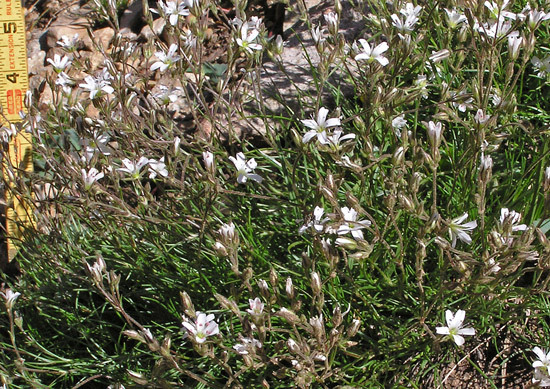 A number of Chickweeds are common in the Four Corners area, and although it is usually fairly easy to identify them as "Chickweeds", it requires time, patience, field guides, and a magnifying glass to identify their exact genus and species. The Chickweeds shown on this web site share characteristics: small, bright, white flowers and narrow, long, opposite leaves. Chickweeds generally are matted quite low to the ground, but several do grow to a slender 20 inches. They also, according to Weber, share a high degree of structural variability in petal length and showiness and in "size and development of the stamens and carpels". Further, "Plants with small petals... will tend to have abortive and nonfunctional anthers and well-developed ovaries, while plants with showy petals often have well-developed anthers and poorly developed ovaries". In other words, some plants, even some flower clusters on the same plant, will have developed male sexual parts and aborted female parts and some will have just the opposite. This phenomenon is common in the Chickweed and Parsley Families. The Flora of North America, the Synthesis of the North American Flora, the USDA Plant Database, the Intermountain Flora, A Utah Flora , Flora of the Four Corners Region, and Flora of Colorado all place the the plants shown on this page in Caryophyllaceae (the Pink Family). 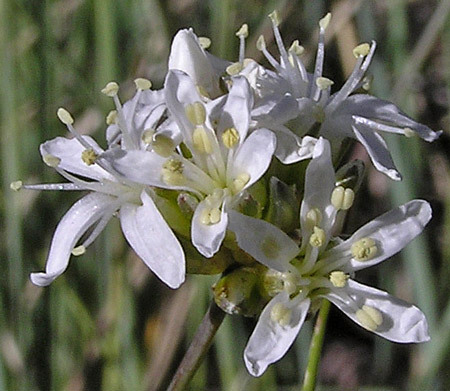 Weber and Wittman's Colorado Flora places the plants in Alsinaceae, not Caryophyllaceae, because they "differ obviously in having... flowers constructed differently, with separate instead of united sepals, and petals without narrow basal claws". 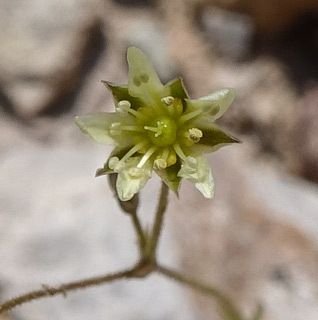 All the other floras recognize that sepals can be separate versus united, but they indicate this morphological difference is just one characteristic that separates the various genera within Caryophyllaceae; it does not require splitting the plants into two families. "Alsinaceae" is the ancient Greek name for similar plants. "Caryophyllaceae" is from the Greek "karya" ("walnut") and "phyllon" ("leaf") which, according to botanical Latin expert William Sterns, "refer to the aromatic smell of walnut leaves, which led to the use of the name for the [aromatic] clove and thence to the [aromatic] clove pink (Dianthus microphyllus)". The latter is a member of Caryophyllaceae, the Pink Family. Eremogone congesta. Synonym: Arenaria congesta. (Ball Head Sandwort). 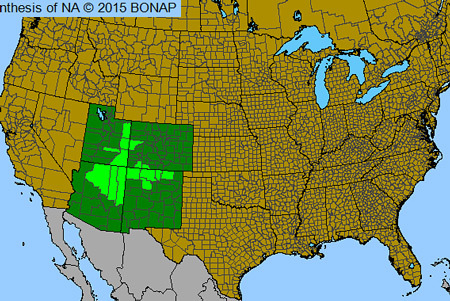 Foothills to subalpine. Woodlands, openings. Spring, summer. Mesa Verde National Park, Prater Ridge Trail, June 3, 2004 and May 31, 2004. The flowers of this common Sandwort sit atop slender, leaning, swaying, almost leafless stalks above grass-like tufts of basal leaves. Clumps of stalks and flowers arise from spreading underground thick roots. "Eremogone congesta is highly polymorphic" according to the Flora of North America which recognizes nine varieties. Trails, especially in the foothills, are often lined with many clusters of Eremogone congesta. 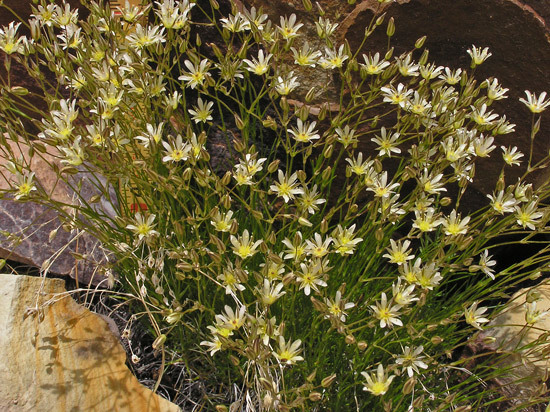 Thomas Nuttall named this species Arenaria congesta in 1838 and S. S. Ikonnikov renamed it Eremogone congesta in 1973. 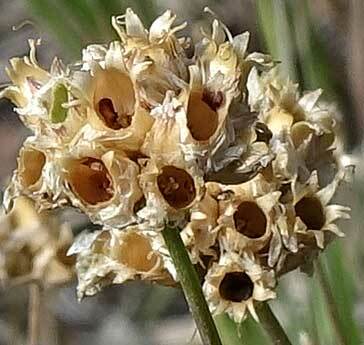 "Congesta" refers to the crowded flower head. Mesa Verde National Park, Farview, May 31, 2004. 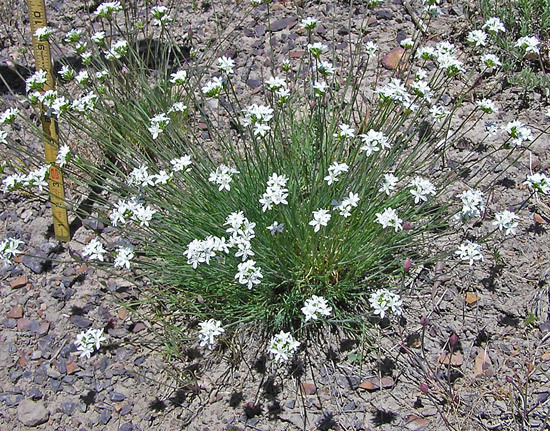 Flowers are clustered, thus "congesta". Seed heads show the same clustering. McElmo Canyon, Canyons of the Ancients National Monument, April 27, 2005 and April 21, 2016. 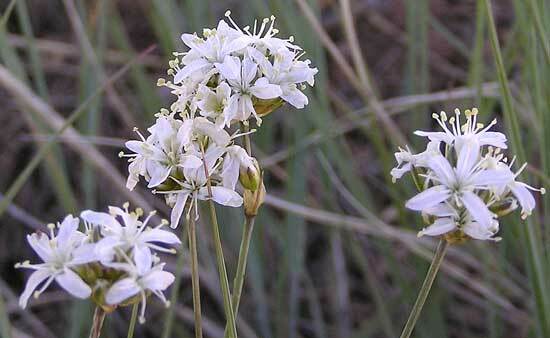 This is a delicate and common early spring plant of the Four Corners lower elevations. Flowers petals are less than 1/4 inch long and flowers are only about 1/3 third inch wide. 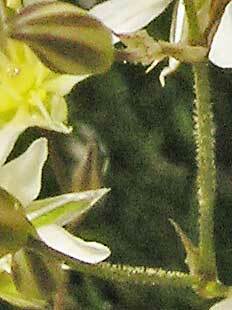 Petals are most often white-yellow but other floral parts impart a strong yellow hue to the flowers. Eremogone eastwoodiae has an open spray of flowers rather than the close-packed flower clusters of Eremogone congesta; both species and E. fendleri have very fine, linear, grass-like leaves; congesta and fendleri grow at higher altitudes. As the list of synonyms indicates, there has been some considerable disagreement about the name of this plant. 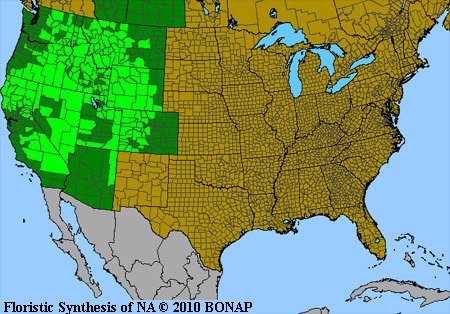 The Flora of North America now indicates that the commonly assigned name of Eremogone kingii is properly given to a species which does not exist in Colorado. Ackerfield indicates, "Eremogone kingii... does not occur in [Colorado]. Most specimens identified as such are actually misidentifications of E. eastwoodiae". Weber's 4th edition still accepts E. kingii. 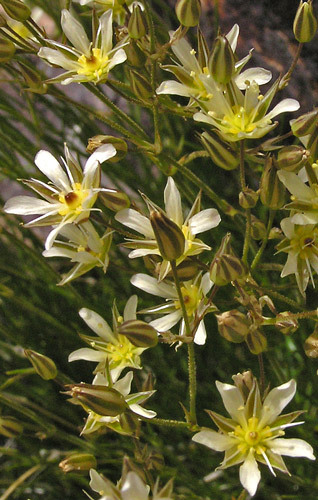 The Flora of the Four Corners Region does not even mention E. kingii and names all such plants, E. eastwoodiae. Eremogone eastwoodiae variety adenophora, shown in the top photograph at left, the photograph immediately below, and the next two photographs below, has stems and pedicels with stipitate glandular hairs. The second photograph at left shows Eremogone eastwoodiae variety eastwoodiae with its diagnostic smooth (glabrous) stems and pedicels. Lower Cross Canyon, April 15, 2015. McElmo Canyon, Canyons of the Ancients National Monument, April 27, 2005. In the lower left corner of the first photograph of E. eastwoodiae var. adenophora at left, you can see the shaggy appearance that hairs give to the out of focus stem. Montane, subalpine, alpine. Woodlands, openings, tundra. Summer. Sharkstooth Trail, July 12, 2016. We find this Eremogone most often on soils that have accumulated at the base of rocks and scree in the high subalpine and alpine forests, but it is also found at much lower altitudes on various soil types. Tight tufts of several inch long, very narrow and upright leaves in mats of a foot in diameter are topped by numerous long stalks of white flowers. Eremogone fendleri might be confused with Saxifraga austromontana. Bulbous-tipped, sticky, glandular hairs abound.